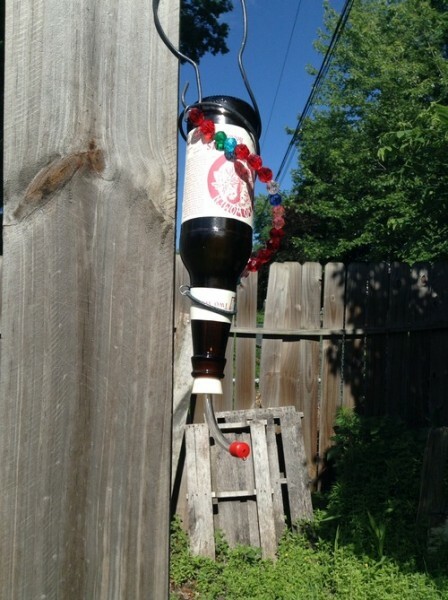 My daughter and I made a hummingbird feeder out of an old bottle. We loosely followed the model here. We just basically bought wire to hang it and some beads to decorate. We had to buy the tip in bulk on Amazon but everything else was available locally. If you want a bottle tip, let me know. I have plenty left!